Rich's Plumbing Heating & Air Conditioning specializes in providing routine heating services and emergency repairs for all makes and models of furnaces,water heaters. Additionally, we provide complete installation and replacement services of the leading name brand models of water heaters, all with expert craftsmanship, warranties, and affordable prices. We can recommend the ideal system for your home and lifestyle, including tankless water heaters and traditional water heaters! 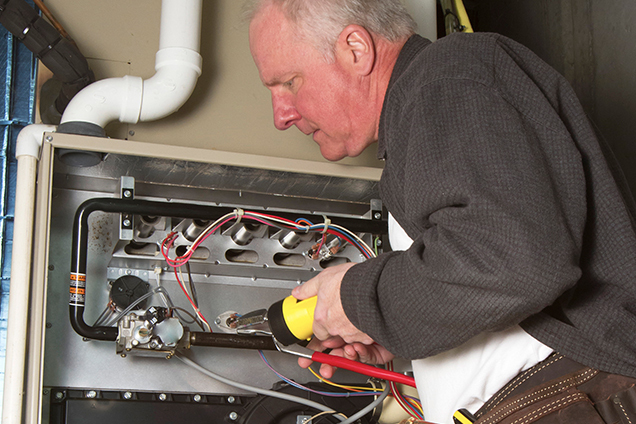 Nothing extends the life of your furnace or heat pump like routine maintenance. Preventative maintenance helps lower your energy consumption, yielding to substantial savings on your energy costs. With annual maintenance from our expert technicians, we can help you save you on your energy costs and prevent unexpected breakdowns. Are you looking to upgrade to a sustainable and energy efficient furnace for your home? We can provide you a free estimate! Our hvac specialists provide expert furnace installation and furnace replacement services for all types of energy-efficient heat pump that meet your needs. We install top-quality equipment at affordable prices, and we will work with you to find the perfect system for your home and budget. With a new furnace from the experts at Rich's Plumbing, you can look forward to lower energy costs, improved comfort, and fewer breakdowns and hassles. We want you to be as cost-efficient and energy-efficient as possible, and for over 25 years, we have delivered those efficient solutions to all of our customers. Give us a call at 888-656-5149 today and schedule your free in home estimate. I love these guys.. I had a pipe burst in the middle of the night and when I called they responded fast.. I used them once before for a water heater replacement and again they responded quick and their price was reasonable. I would definitely use them in the future.